Drifting along with the tumbling tumbleweeds. That a new world’s born at dawn. I recently spent an event-filled weekend in Eastern Oregon. 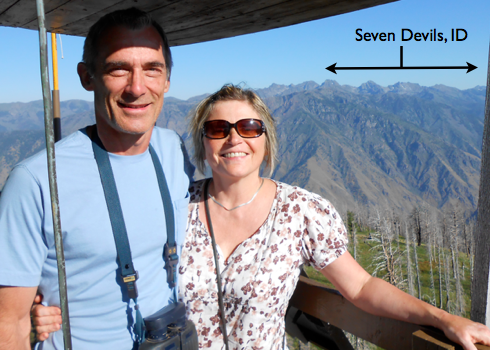 I visited a 2000-acre family wheat farm in Umatilla County during harvest (which I will blog more completely about at a later time) and counted Idaho’s Seven Devils from the top deck of a fire watch tower at the rim of Hells Canyon. 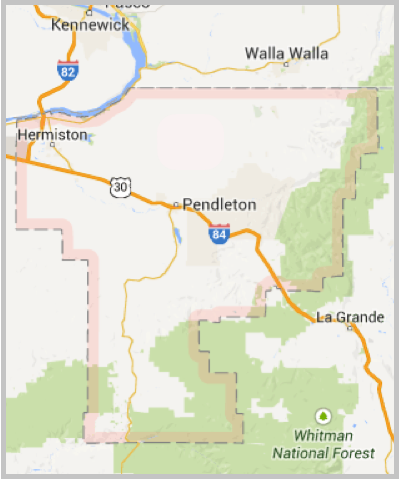 Umatilla County in Eastern Oregon. The northern boundary is also the Washington boundary. Today, however, I’m going to focus on a weed. As weeds go, it is an impressive one and appears to be as tenacious as blackberry only you don’t get tasty berries from it. Classified as an invasive species and hailing from the Ukraine, it is common to hear it spoken of and yet I knew almost nothing about it until my visit east. It dots and borders eastern Oregon wheat fields as far as the eye can see, and is considered the worst weed pest in the area. All these years, I just assumed it belonged there. I speak of Russian thistle. One of the tumbleweeds. Foreign invader. Wiki defines tumbleweed like this: A tumbleweed is the above-ground part of any of a number of plants that, once mature and dry, disengage from the root and tumble away in the wind. What is so interesting to me is that I had always thought tumbleweeds were as American, as Western as, say, pine cones or saguaro cactus. To the right is a picture of a young Russian thistle plant. The desired scenario is for plants to be eradicated before they mature and seed themselves by, well, tumbling. Before they go on their reproductive ‘tumble’, the plants rob the surrounding soil of its precious moisture and nutrients. Not at all what a dry land wheat field surviving in a semi-arid climate needs. So how the heck did this pest get here? From Desert USA: Tumbleweeds were first reported in the United States around 1877 in Bon Homme County, South Dakota, apparently transported in flax seed imported by Ukrainian farmers. Within two decades it had tumbled into a dozen states, and by 1900, it had reached the Pacific Coast. Although tumbleweed is native to the arid steppes of the Ural Mountains in Russia, it is now ubiquitous throughout the western states, growing in disturbed soils such as agricultural fields, irrigation canals and roadside shoulders and ditches. Plants thrive in salty and alkaline soils […]. Elevation range is from below sea level in Death Valley to over 8500 feet. From the Institute for the study of Invasive Species/Texas State University System: Russian thistle is a common nuisance in agricultural areas especially in small grain and alfalfa fields. By depleting available water for crops, providing shelter to harmful invertebrates, and a carrier of curly top virus, the Russian thistle reduces crop yield. Facilitated by mode of seed spread, Russian thistle can build up along fence lines where it must be manually removed, creating required labor. 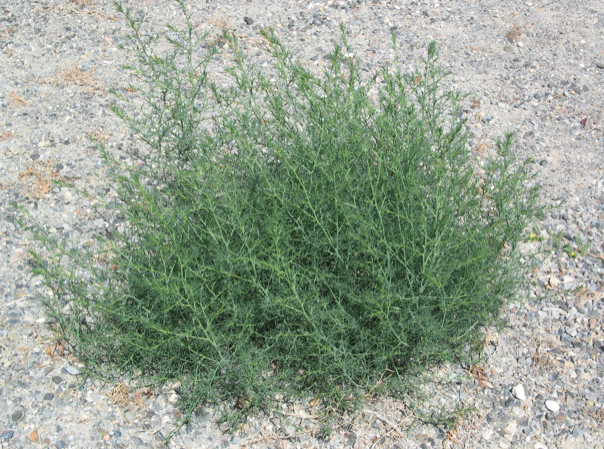 Russian thistle is also a fire hazard when accumulated in areas, and is capable of facilitating fire spread when ignited and rolling across the landscape. 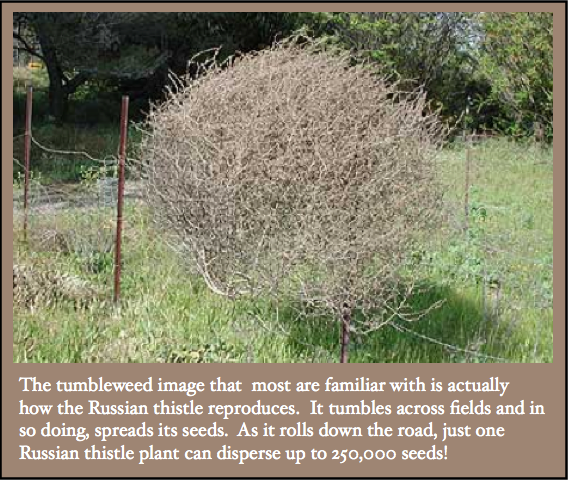 From the article War On Weeds Rages On/Oregon State Extension Service regarding Russian thistles herbicide resistance: The most widespread resistant weed of Oregon is Russian thistle…and is found primarily in wheat. While touring an area of wheat fields as far as the eye can see, and in various stages of harvest, stubble or fallow, I heard stories about an old school farmer who liked to keep an eye on how others were tilling and weeding their fields. One common way of weeding a plowed field is by using a rod weeder (right). 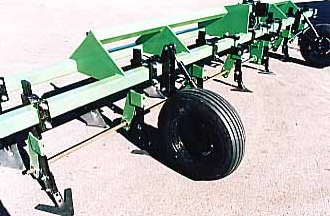 A rod weeder destroys weeds in plowed land by means of a square rod that revolves backward as it is drawn forward a few inches below the surface of the soil. It lifts weeds and clods to the surface. There is a balance of soil stability and texture that must be achieved to both thoroughly uproot the weeds while not simultaneously being so fine or loose that the soil might blow away. As I walked on a tilled field, I sank down about 6 inches with each step. The soil was soft, dry as dessert sand and seemed rather precarious to me as it buried my sneakers. One puff of air from my singer’s lungs at close range would have disturbed it. In the old days if you wanted to weed you took a hoe and a horse and rode out into the field, sometimes miles out. There was this one field hand who got into the habit of napping when he was supposed to be weeding. The boss wasn’t too happy about this and when he found out about it, he rode to where the field hand was sleeping and snatched his horse, leaving the napping field hand to walk all the way back, hoe in hand! Fortunately today, there are many innovations that can make life a little easier for farmers: In this recent article called Farming efficiency in a technological world/Truth About Trade & Technology, broadband internet is cited as a contributor. There are even smart phone apps for crop scouting, an important technique for assessing farm fields to ensure they are healthy and sound. By identifying problems the moment they arise, and in specific locations, a farmer can eliminate them without having to spray the entire field with insecticides or other products. According to a recent Purdue University report, pesticides cost about $38 per acre for a corn farm. With new tools to substantially reduce the amount of pesticides used, farmers can now save thousands of dollars on fields that span hundreds of acres. Not to mention spraying fewer pesticides. Always a great choice! One thing that will never change about weeds: farmers face constant pressure from them. Weeds compete with crops for moisture and nutrients. Presence of weeds = reduced yields. No farmer is immune. To control weeds by tilling alone is risky because of wind erosion. To control them by herbicide alone is costly, takes precision, and issues of resistance can develop over time. The takeaway: welcome to farming! That was my lesson. There is no one size fits all kind of farming. Farmers do what they have to do and make decisions that they feel will best serve their operation, yield the best crop, do more with less, speed things up, etc. All farmers face pressure from weeds. Organic, conventional, genetically engineered – weeds don’t care how or what kind of crop you farm. Where there is soil there are weeds. This post was intended to reflect my own fascination with Russian thistle as a non-farmer. It is based on my own research and a few casual conversations with farmers. I welcome comments and suggestions and/or corrections. This article was last updated 8/4/2013 at 11:18 PST. The blog Axis Mundi recently posted a behemoth of a graphic showing just how many international organizations support the use of GMOs. They asked that the information be shared far and wide in order that the public become aware of how strong the scientific consensus behind GMOs truly is. Sleuth4Health is doing her part! Below you will find brief descriptions and statements from 21 international science and medical organizations, societies and associations that not only support the use of GMO crops but attest to their safety and usefulness. I had to chop the original graphic up and do a bit of rearranging to get it all to fit and be readable but the gang’s all here! What an impressive list. If I were still anti-GMO and I read this list, I am convinced I would take pause and think something like this: they can’t all be in Monsanto’s back pocket, nor can they all be wrong. A big thank you to Axis Mundi for rounding up all of this information and being willing to share it. I will refer to this often and please, feel free to spread it further. Read Axis Mundi’s post on GM Food Meme Wars. Look carefully at the facebook screenshot below. I could not have planned the spot-on irony of this little gem from my facebook feed any better. By mere coincidence, these two posts appeared one after the other. Now if we could just get the folks who “liked” the first post to read the second post, we might be getting somewhere. Notice the difference in likes and shares between the two. 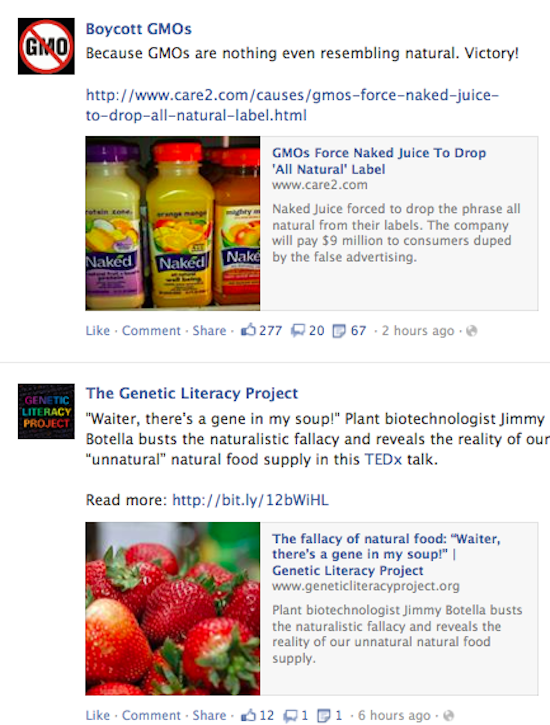 The Boycott GMOs article: 277 likes, 67 shares. The Genetic Literacy Project article: 12 likes, 1 share. Have you ever seen a “real” banana? Did you know that Kiwis are a twentieth century creation? Despite what the movies would have you believe, Cleopatra never savored a strawberry — strawberries were created artificially long after she died. Many “natural” foods were, quite literally, invented. The line between “natural” and “artificial” in our food — central to the green movement’s rejection of genetically modified crops and livestock — is murky at best. Read more. 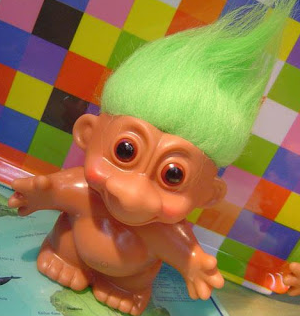 You can’t have a blog without the appearance of trolls . Even if they don’t comment on your blog directly, you see them tearing you down when you comment elsewhere. I have experienced this enough times now to realize it is unavoidable. Speak your mind and someone’s going to speak theirs and it won’t be pretty. I’m not referring to people who simply have differing opinions than my own. I am referring to people who are just plain mean. So I’m going to allow myself a short rant in this post. I don’t care how many times I am accused, I am still not a biotech industry shill. Not for Monsanto. Not for DuPont. Not for any of them. No, I have no background in science and I am quite forthcoming about that. That doesn’t mean I’m stupid or incapable of writing about GMOs. My opinion of GMOs comes from my head-on collision with reason, critical thinking and science, period. The top spokesperson for the anti-GMO movement is a levitating ballroom dancer. What credentials does Jeffrey Smith have that I don’t have? I have cited mainstream science multiple times in my blog. Jeffrey Smith, though a well-meaning person I’m sure, has cited fringe, highly questionable and certifiably psuedo-science. What I do have, even with my music and humanities background, is an open mind, an inquisitive mind and a discerning mind. Eventually, I’m going to identify horse puckey when it’s there. No disrespect intended, but the anti-GMO movement is buried in it and I don’t have tall enough boots. Most people reading this already agree with me, but I am regularly slammed, if not here, elsewhere in the cyberworld, with this accusation of being a shill, underqualified to talk about GMOs or of limited intelligence. And it’s just TIRING. Is it somehow inconceivable that I could be an individual not trammeled by prevailing winds? When I was in third grade my teacher wrote that I was an independent thinker in the comment section of my report card. Thanks Mrs. Smith. You were an encouraging teacher. This article was updated on July 22 at 10:00 PST. 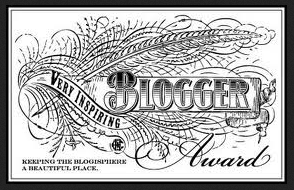 This is the second blogger award I’ve been nominated for in my blogging career of less than a year. I am flattered and delighted that someone out there notices. The first award (right), the Very Inspiring Blogger Award, was given to me when I was still blogging from an anti-GMO viewpoint. How ironic – in a good way – that the blogger who nominated me for the team member readership award, Sachin Rawat/Dreamer Biologist’s Blog, describes me as a “fierce backer of GMOs”. I guess I’m on the team! I will first list the readers I appreciate and will do the communication piece after I’ve posted. 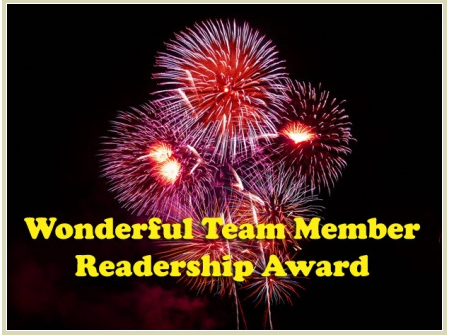 To name 14 readers I appreciate is a labor of love. Being a non-science person, I have been welcomed into the science community as someone who, though not scientifically trained, is at least attempting to think critically and apply scientific principles to the issues I write about, namely, GMOs. I don’t have the jargon in my vernacular but I do attempt to understand the science. In addition to scientists, some agriculture and industry types have also welcomed me. Of course I appreciate ALL of my readers very much. Thank you for actually reading what an arts person has to say about your world of science, farming and industry. So here is the list. If the person goes by a handle rather than an actual name, I use the handle below. If they have a blog, I put the link after their name. 1. Kevin Folta/Illumination/If it weren’t for him and his fist pounding, I could very well still be blogging all that incessant anti-GMO drivel. 2. Val Giddings/Generous with his retweets. Has offered to buy me a beer when I finally make it to DC, but he’ll have to drag me out of the Smithsonian kicking and screaming. OK, if it’s an IPA, I’m there. 3. First Officer/My faithful minion. Knows a lot about a lot, savagely funny, can comment intelligently on 15 different blogs simultaneously. 4. Janice Person/A Colorful Adenture/Very nice and down-to-earth gal, someone with whom I’ve lunched and the first person I’ve ever friended on Facebook who is actually paid by Monsanto. 5. P. Diff/Also has been generous with information, comments, kudos and retweets. 6. Frank N. Foode/Cute and cuddly. I want to eat him. 7. 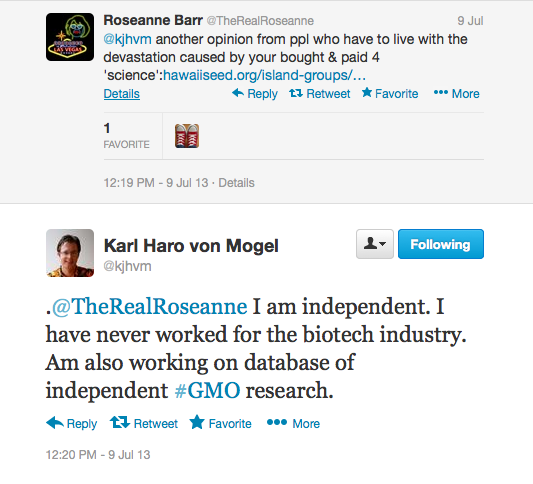 Karl Hago von Mogel/Biofortified/One of the moderators of this highly informative go-to blog, stands up for science constantly, and is nice about it. 8. Misbehaved Woman/Misbehaved Woman/One of my first followers ever, followed me when I was anti-GMO, follows me still. What a scandalous, brave woman she truly is! 9. Fourat Janabi/Random Rationality/He and I have been on the same trajectory regarding GMOs, as in realizing they’re really pretty awesome and writing about it. He is a little ahead of me, in everything. His Q & A with Folta messed with my head and I was never the same again. 1o. Cami Ryan/Doc Dami Ryan/Cami goes right for the nugget. She is often the first to find or even identify what the nugget is :). 11. Anastasia Bodnar/Biofortified/Also a moderator at Biofortified. I am flattered when she stops by and comments or retweets me :). 10. Suzie Wilde/Kissed A Farmer/Wrote guest post article about Bt cotton and her dry land cotton farming experiences in Texas. She has been very supportive. 11. Mike Bendzela/Dow Farm Enterprise/CSA farmer who is not afraid to express his well-informed opinions born of actual experience. He responded to my open call to farmers post. 12. Brian Scott/The Farmer’s Life/Also responded to my open call to farmers, is very open and positive about his use of GE technology. 13. Marie Bowers/Oregongreen.wordpress.com/A fellow Oregonian, a 4th generation farmer and someone I hope to visit and meet very soon. 14. Rainer/Ein Deutscher, der meine blog liest und mit dem ich mein deutsch geübt habe. This article was updated at 10:55, PST. 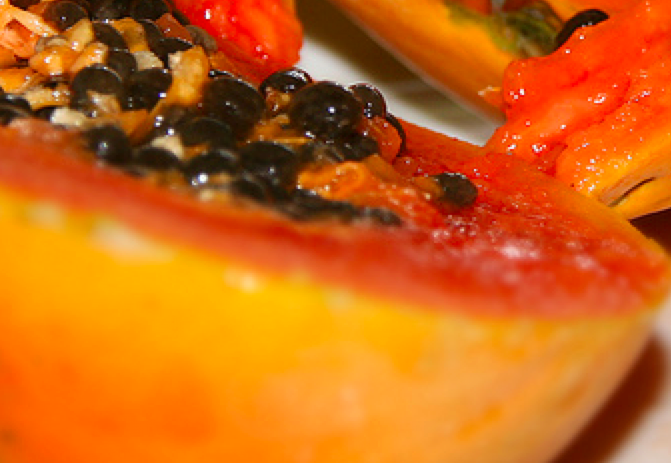 I was recently in Hawaii and regrettably did not eat a single papaya while I was there. What was I thinking? I guess I was too busy eating mangos, pineapples and to-die-for ahi and octopus poke. Not even a week after arriving back home, I came across a succession of tweets about Hawaiian papaya. 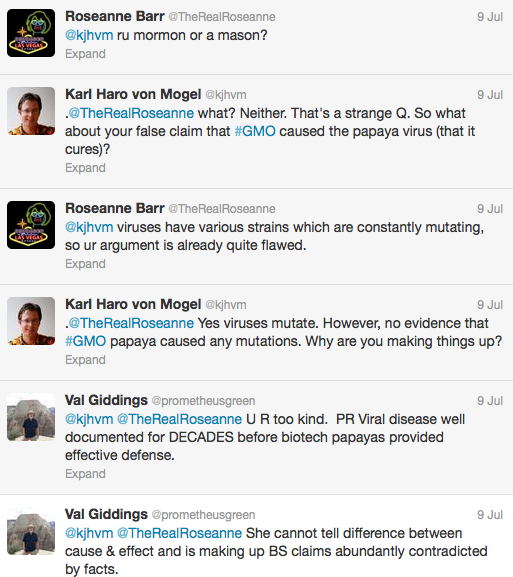 These tweets were mostly between celebrity Roseanne Barr, who apparently lives on a macadamia nut farm on the big island in Hawaii (see wiki inset below), and Karl Haro von Mogel, noted plant geneticist and one of the moderators of the excellent Biofortified website. This wasn’t a brief exchange, nor were they ever in agreement. If I were to give the Miss Congeniality award, I would give it to Karl, hands down. He was extremely polite in the face of some crude insults hurled his way. The whole exchange comes across to me as a study of how celebrities can be dead wrong, but believed simply because people like them or even just recognize them. Their credibility is based on being known by the public, not because they know anything. Why is that? 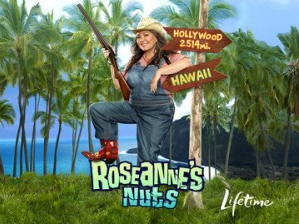 Roseanne Barr has over 200,000 followers. This is a topic in and of itself. But here I will simply focus on the papaya. 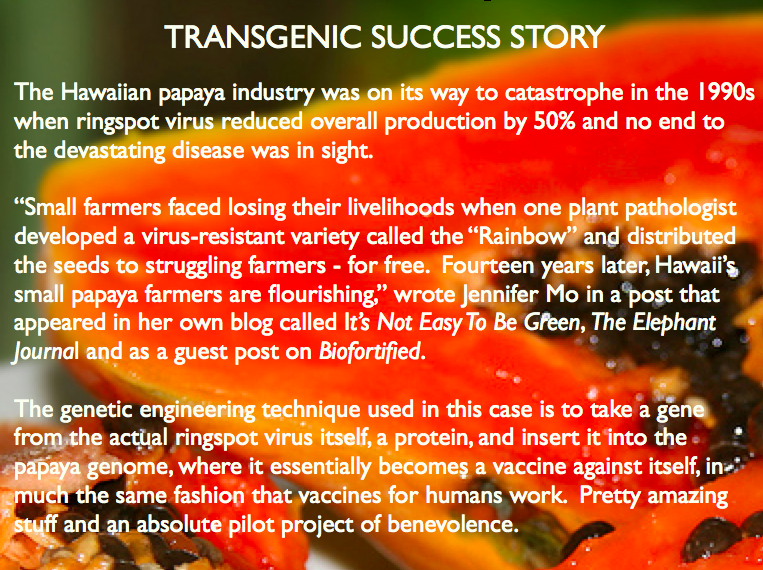 A few months back I did a series of posts called The Benevolent Side of GMOs and really, the papaya story should have been included in that series. My bad that it wasn’t. Many of my readers already know about the engineered papaya and if not, there are several excellent articles which explain it to perfection cited at the end of this post. Here is an extremely brief synopsis. 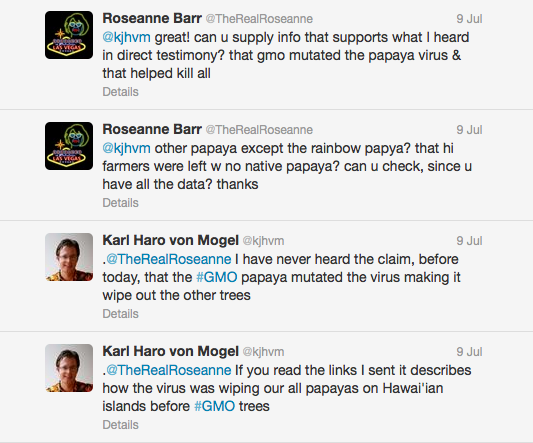 Below are a few screen shots from a much longer tweet battle between activist Roseanne Barr and Karl Haro von Mogel. Biotechnology expert Val Giddings chimes in for a bit as well. If you follow Karl, you’ve probably seen this go on and on. It’s still going on I believe. For the real facts, here is a sampling of A-list articles and blog posts on this topic. Some of my readers may already know that I recently spent nine glorious days on the beautiful island of Maui in the Hawaiian Islands. 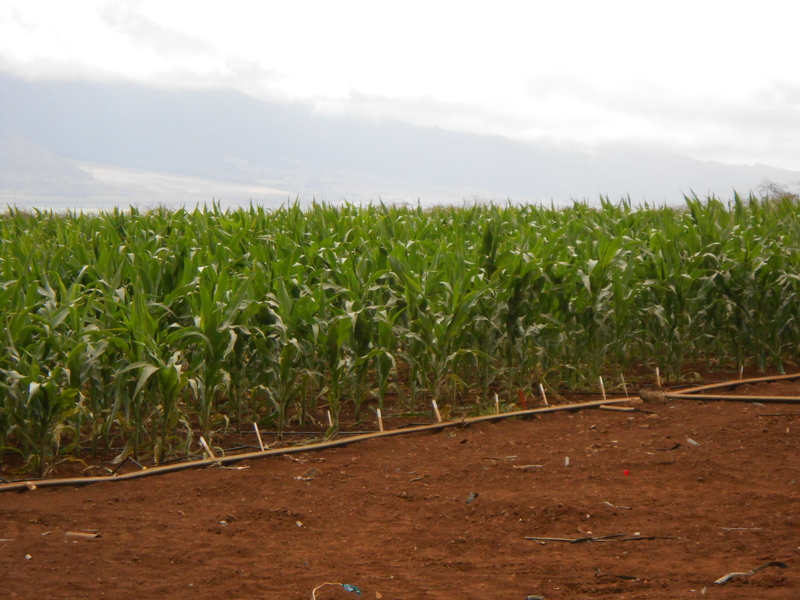 In addition to the scuba diving, snorkeling and general ocean frolicking that my husband and I engaged in, we also lucked into a private tour of the Monsanto Piilani farm and plant breeding facility in Kihei which is on the Southwestern side of the island. Coincidentally, the place turned out to be literally up the street from our condo. I’m not gonna lie, there was definitely a time when I would not have set foot on a Monsanto property, let alone toured it. More than likely I would have stormed the parking lot waving some kind of skull and crossbones sign. Or I might have once imagined wild-haired scientists wearing Monsanto embroidered lab coats inside such a facility – monitoring test tubes and petri dishes, bra-ha-ha-ing as they discovered yet more ways to take over the world’s food supply and poison us – all the while raking in billions. I was quite relieved to find that what is actually going on at the roughly 300-acre plot of gently sloping, rocky land with a stunning ocean view is neither malevolent, mysterious nor dangerous. After parking our rental car and signing in at the front office, my husband, Kent, and I were warmly greeted by Carol Reimann, community affairs manager, and David Stoltzfus, Maui site leader. I felt welcome and at ease as Carol and David led us into a conference room for the first segment of our tour. Being the only two visitors in attendance, the room felt much too big as we sat down to watch a PowerPoint presentation covering general Monsanto history and operations followed by more Hawaii-specific topics. In 2000, the original Monsanto chemical company, you know, infamous for their role in the use of DDT, Agent Orange, PCBs, entered into a merger and changed its name to Pharmacia, which is now a subsidiary of Pfizer. 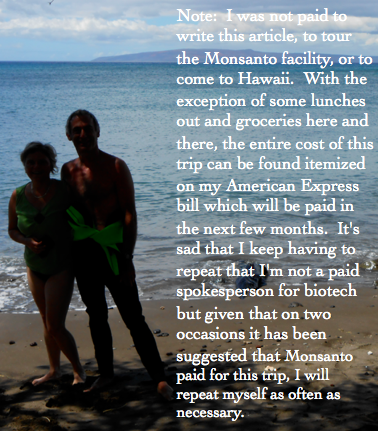 (Click here for information about Monsanto’s relationship to other companies.) Soon after, a new Monsanto Company was born with interests focused solely on agriculture. It is the new Monsanto that is in operation today. As for Monsanto’s operations in Hawaii, they started when the once thriving sugar industry collapsed in the mid 1990s. The land either reverted to the state or was held privately and leased to the ‘Big Six’ biotech companies: Monsanto, Syngenta, Dow AgroSciences, Pioneer (DuPont), BASF and Bayer. 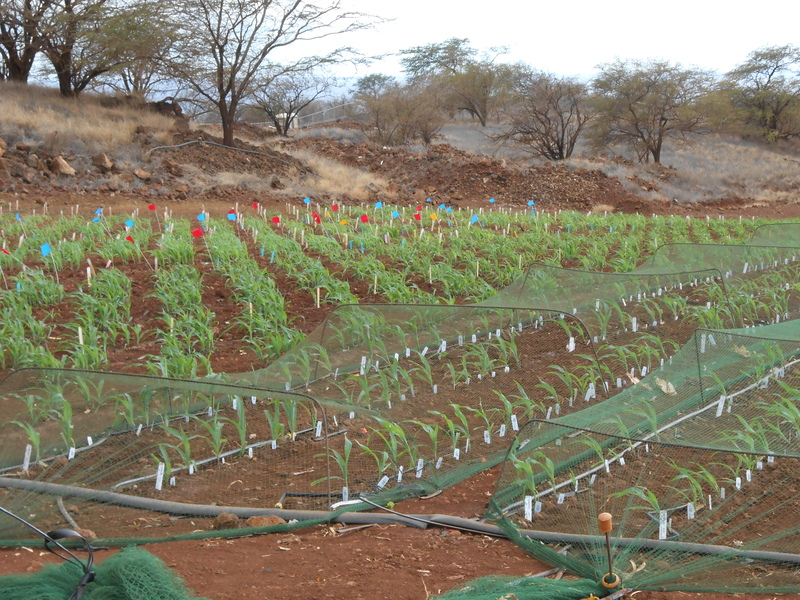 Hawaii is a superior location for plant breeding research due to its being in the US and having a year round growing season. Three to four growing cycles occur in a single year thereby greatly reducing the time needed to get new seeds to worldwide markets. 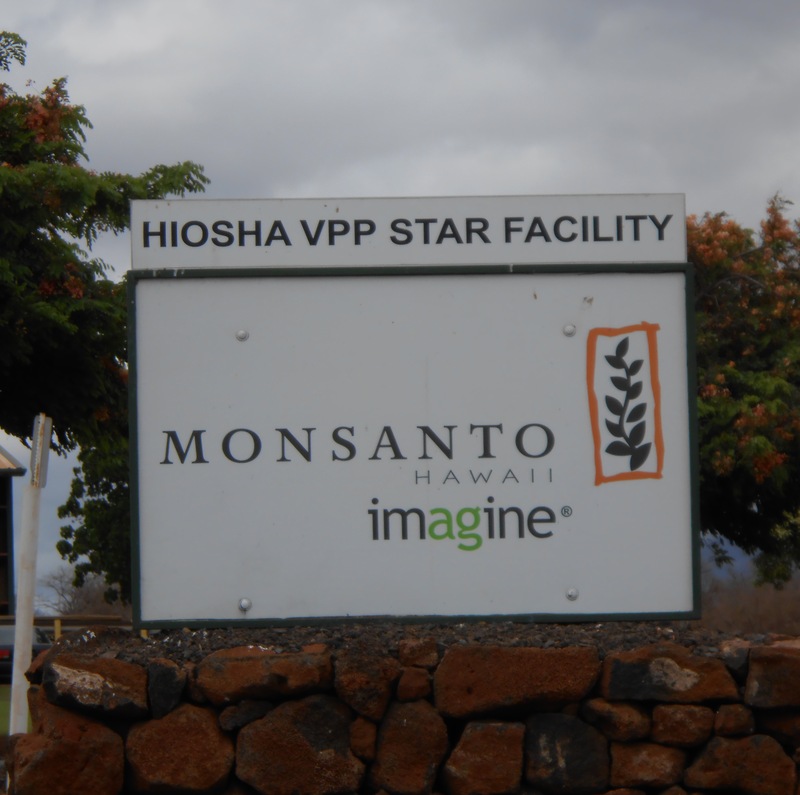 Though only Monsanto operates on Maui, it and the other five have similar research facilities on other islands as well. 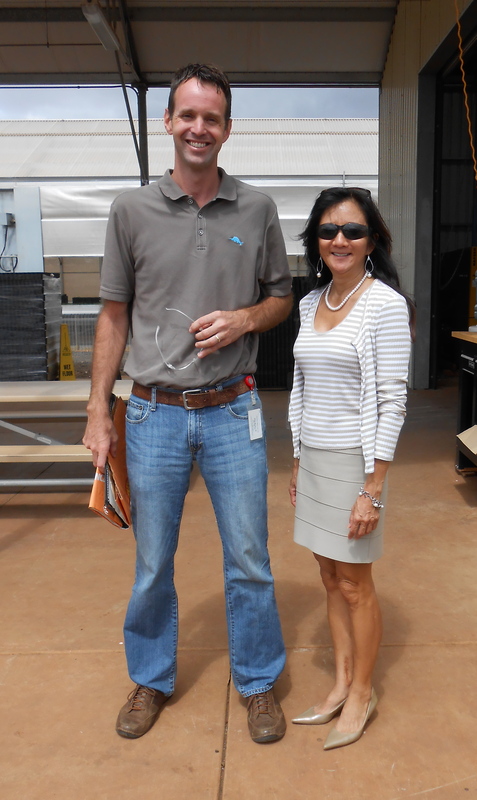 Had I been able to get to Kauai, I would have responded to another offer I received to tour a BASF facility! After the slide show, the four of us packed into the front and back seats of a pick up that could have been any farm truck in rural America. Mud on the sideboards. Dust on the dash. David wore jeans and a golf shirt and sort of looked like a scientist-turned-farmer. Carol looked chic in an above-knee knit skirt and stiletto pumps. As we lumbered uphill to our first stop, the discussion centered around Monsanto’s complicated history and how the company’s public image is so tarnished. Carol admitted that when Monsanto broke free from the chemical side of their operations, they should have changed their company name because doing that alone would have likely reduced a large amount of the flack they are still getting about the original Monsanto’s much maligned chemical past. I then asked the following: “What if Monsanto and the whole biotech industry had done a massive education project when GE foods were first introduced so that people could have learned the benefits early on, thus avoiding learning about GMOs after the fact and being so angry. Do you think that would have helped?” Carol and David indicated that perhaps that would also have helped. 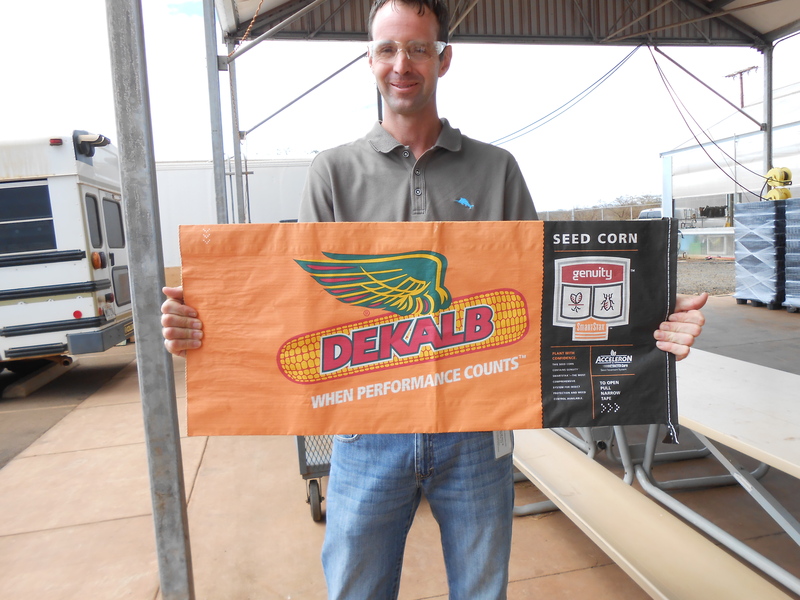 David holding a corn seed bag. Front and back show stacked traits engineered into seed. The farm tour commenced and we stopped at several locations on the property, beginning with the greenhouse (left). 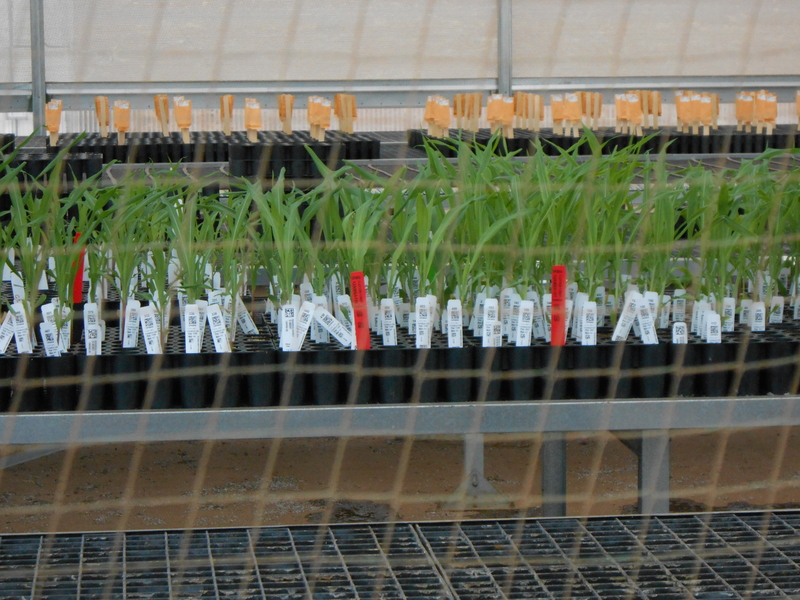 Plants here are labeled with a barcode for whatever trait has been engineered into the seed. 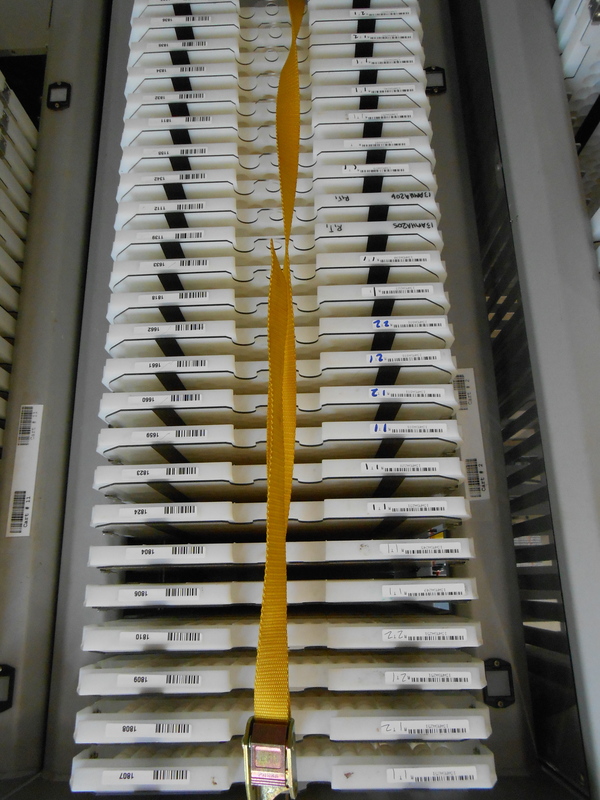 Constant, strict dlligence in the handling of these barcodes must be maintained. Young plants in marked rows. Next we proceeded to where young plants had been recently placed in rows, still marked individually with barcodes but now part of rows or sections indicated by colored flags. These flags mark what traits are being tested in larger areas. For example, a blue flag might indicate that a row is to be sprayed with a certain pesticide to confirm if plants are indeed resistant to that pesticide. Seed room. 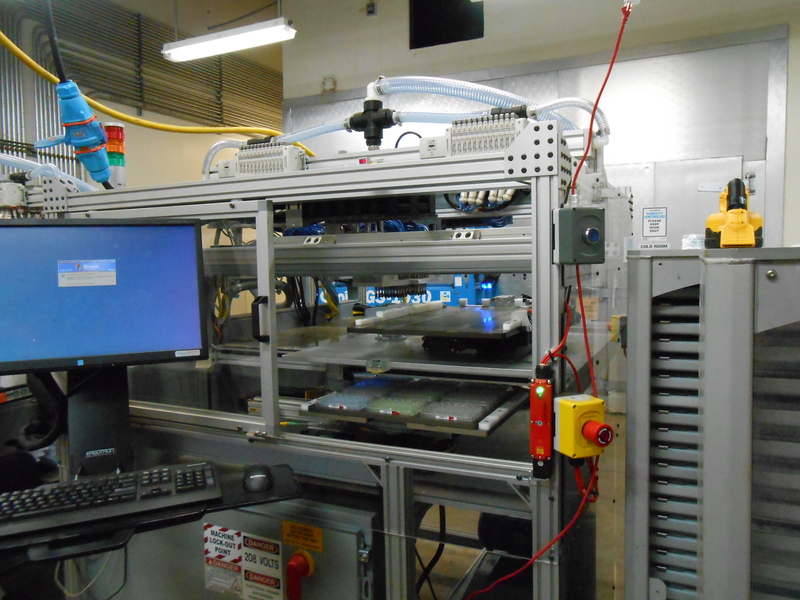 Machines such as this help to keep them all correctly coded and sorted. We moved on to the seed room (below). This was a curious room containing rows and rows of small sacks with corn seeds in them. To me, they looked like small bags of popcorn. Of course, each and every bag must receive a barcode sticker that represents DNA traits. 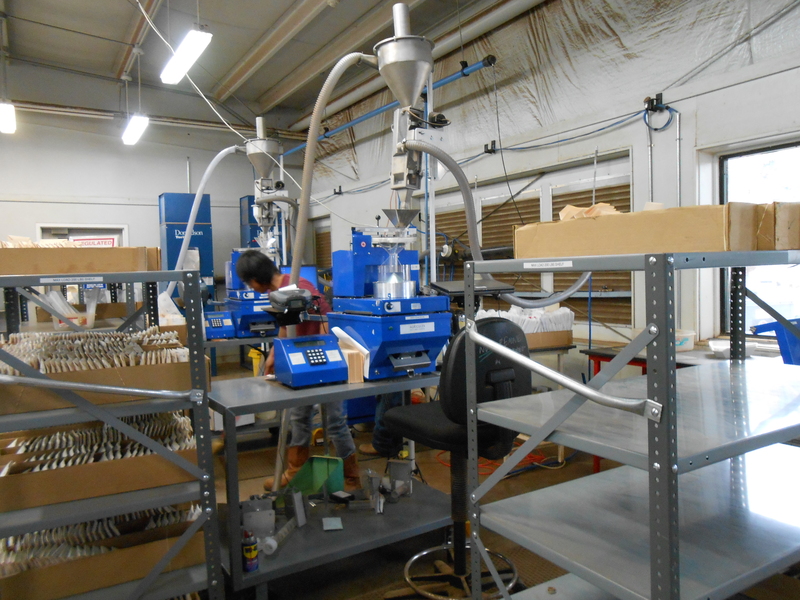 The machine in the picture does its part to ensure that human error in sorting and coding the seeds will not be a factor. David paused the tour to see if I had more questions or if there was something else I wanted to see on the property. As I often do in situations like this, I blanked, so I asked him what questions other people asked and what they wanted to see. He told me it depends. Farmers want to see the farm equipment. Kids want to see the robotics. Robotics! Yes, by all means, I wanted to see the robotics. 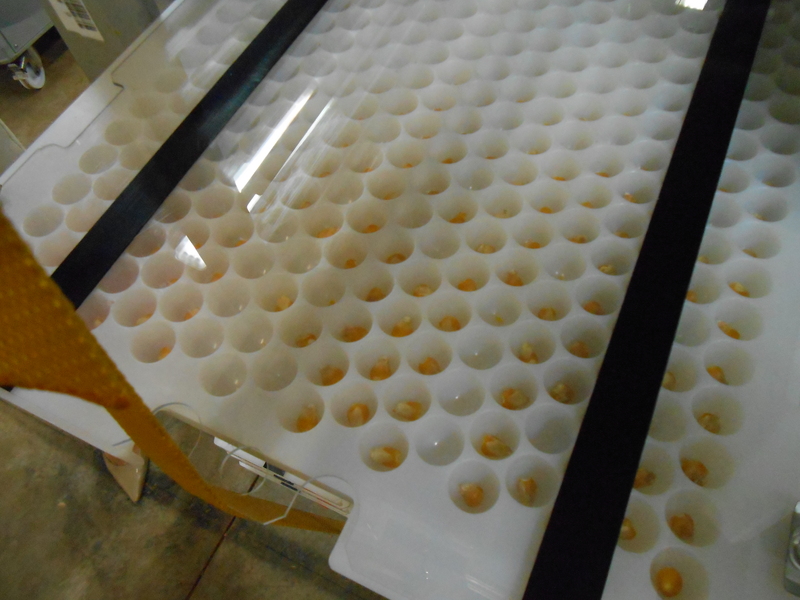 Filled seed tray that may only contain as few as ten seeds that carry a desired DNA trait. The final stop was a fitting grand finale. In this room, I met the off-loader and learned about the significant relationship between this robotic machine and its cohort back at the Monsanto Headquarters in St. Louis, the chipper. The bags of seeds sorted in the seed room are sent off to St. Louis coded with the trait in question. Once in St. Louis, they are put into a tray like what you see above. The chipper then chips a tiny fragment of seed to be used for DNA testing, also done by machine. Meanwhile, the entire filled tray gets sent back to Maui. By the time the tray arrives, the DNA will have been analyzed on all the chips, sent electronically back to the off-loader in Maui and it will be known exactly which seeds contain the desired traits. It is then that the robotic off-loader (below) stealthily hovers over the seed tray and in one fell swoop, extracts the wanted seeds. The seeds that don’t “pass muster” are discarded while those that do are then replanted in the greenhouse and the cycle starts anew. Overall, my take on the Piilani plant breeding operation was that it was extremely thorough, testing seeds and plants over and over and over again, and at every stage of development. It was efficient though not overly high tech, and in the end, miraculously capable of breeding corn seeds that are used all over the world. I’d like to thank Carol and David again, and also Renee Kester, who, from the island of Kauai, reached out to me and played a major role in getting this all set up. I enjoyed a pleasant, informative afternoon at Monsanto’s Piilani Farm! I plan to write a follow-up article to this one very soon. Once I have gathered the additional information I need, the article will focus more on the controversies of having biotech on the beautifully unique and isolated Hawaiian islands. Given the growing hullabaloo over biotech in Hawaii, I will offer my opinion in advance that there are far worse threats to this paradise than plant breeding research.